Car trip on underground parking near Mega-Khimky-mall, Moscow (green color signs mark off smartphone’s GPS-receiver measurements; yellow color ones mark off positions which were estimated by DR-solution). Total time of the DR-algorithm operation is 6 min and more). 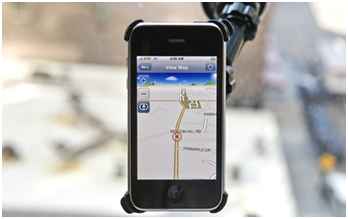 SPIRIT Dead Reckoning software for smartphone or in-vehicle navigation drastically improves car positioning in complex urban environment like tunnels and dense urban areas where GPS-signals do not reach. SPIRIT Dead Reckoning software uses data from standard GNSS chip and MEMS sensors installed inside smartphones/tablets, as well as from in-vehicle speed sensor available from CAN-bus directly or by OBDII, NFC and MirrorLink interfaces. With no additional hardware, SPIRIT Dead Reckoning software provides high accuracy in tunnels and dense urban areas. With the help of SPIRIT Dead Reckoning software, a driver can continuously enjoy convenient map services and turn-by-turn navigation in difficult conditions where GNSS alone fails. 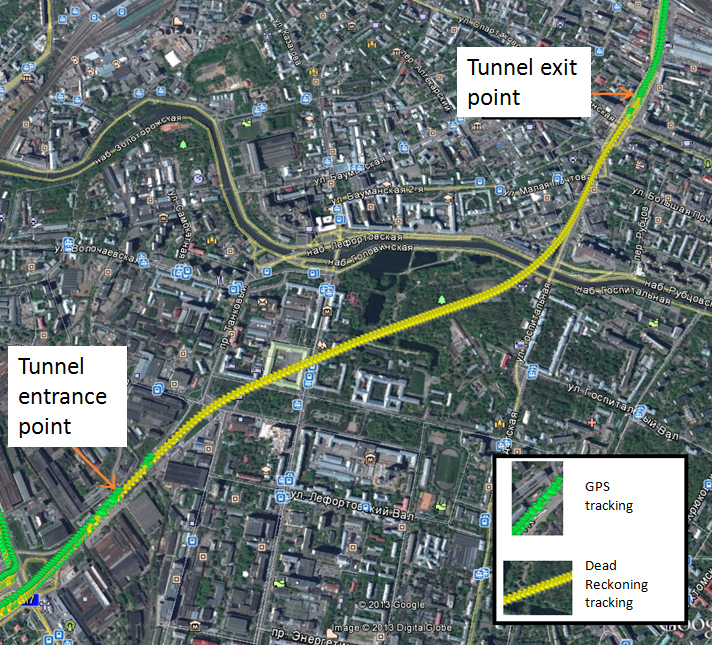 Illustration of the navigation solution operation at real deep urban conditions (a trip on motor road with tunnels) is presented by video with text explanations.